Published as a tribute to the first edition of the graphic novel dated 1978, the Limited Edition of Lanterna Magica is a large-format book enriched by three numbered silkscreens authenticated by the Archivio Guido Crepax and an artistic plate disegned by Lorenzo Mattotti. The story, entirely created by Crepax, is an example of very modern graphic design and settings and contexts that are “outside historical dimensions”. The first edition was introduced by a text by Gillo Dorfles which is here published in its entirety and repositions the value of the plates of Valentina not only within the creative perspective of Guido Crepax but, above all, within the artistic context of the European scene. The 216 pages in this book are printed on precious ivory paper and enriched by a tribute signed by Lorenzo Mattotti made specifically for this publication. 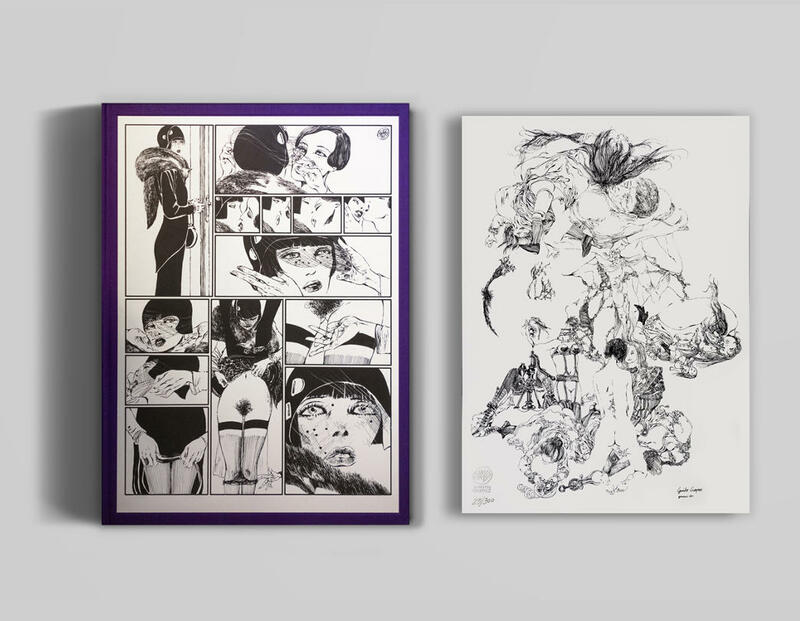 The Lanterna Magica project, Skira Limited Edition, has a print run of 300 copies and is divided into three versions, each characterised by a silkscreen authenticated by the Archivio Crepax: Imitations, Reflection and Dolls. The volume is found in a box, entirely covered in canvas, with applied plate and hot printed title; each silkscreen is contained in a folder, also covered in canvas, placed on top of the volume. The box is wrapped in protective cardboard. 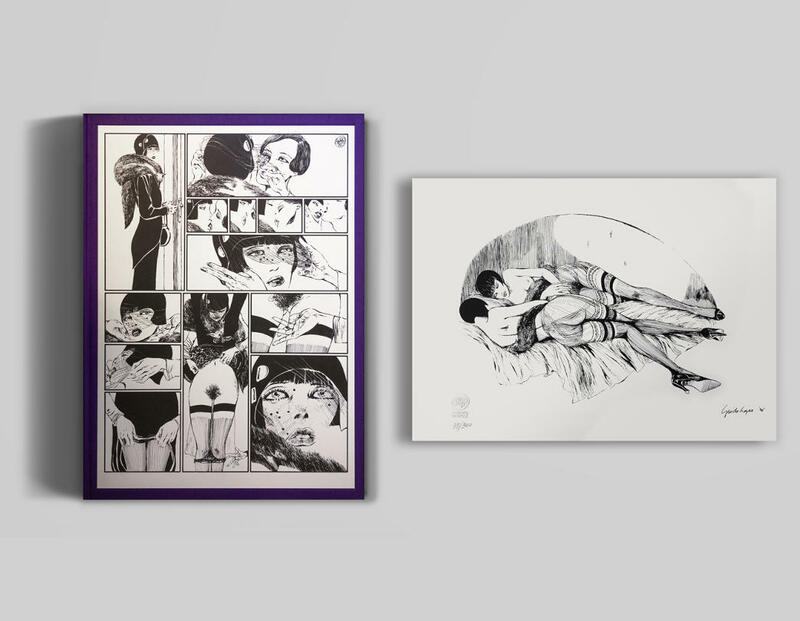 Atypical images by Guido Crepax who portrays an undefined and indefinable dream of elegant beauty. The black lines and ivory white paper contribute to enclosing shapes and defining figures that Gestaltically evoke a dream state. Unusual, beautiful, rare. 35.4 × 47 cm, 216 pages, 97 b/w illustrations. As if before a sensual and sinuous doppelganger, Valentina faces her complementary self, vis à vis, creating a vision that is completed and enriched at each glance. It is the best Valentina ever drawn by Guido Crepax. Crepax wasn’t just an illustrator of quality pictures but above all a designer who created highly detailed settings. This silk-screen displays not only his fatherly love for his Valentina shielded in her dream by a mink, but an obsessive attention to detail that gives the right weight to the figure on the mattress, portraying her alive between the sheets and soft in her pose. Lorenzo Mattotti (classe 1954) è uno dei più noti fumettisti e illustratori italiani contemporanei. Inizia la sua opera artistica nel 1975, collabora con riviste e giornali di tutto il mondo, tra cui, ancora, Linus ed è autore di graphic novel e di film di animazione di eccelsa qualità. Vive e lavora a Parigi.